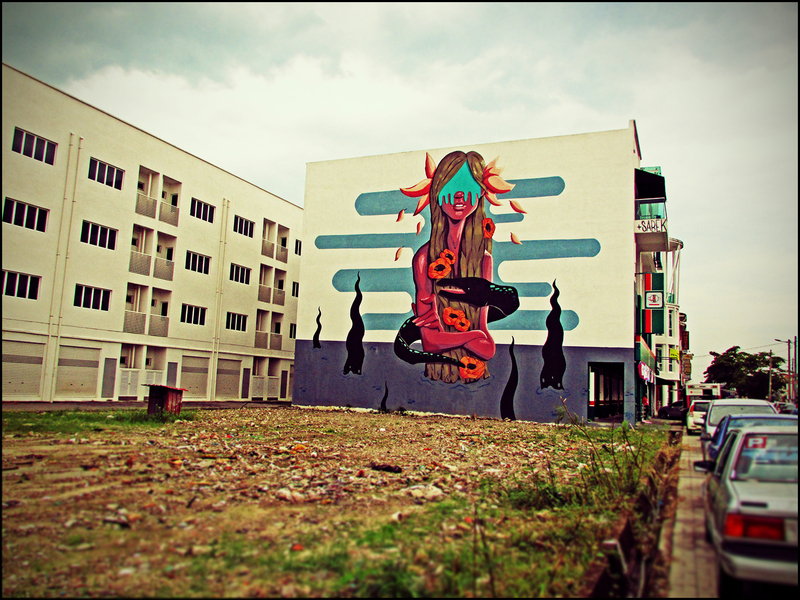 Another giant mural found in Raja Uda, Butterworth. 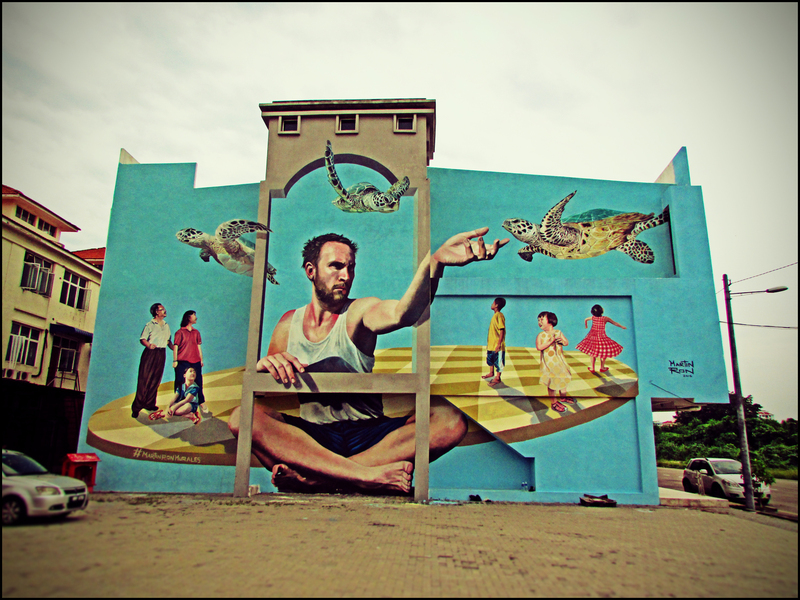 This mural was painted by Martin Ron in May and depicts a man (a friend of the artist) seated with turtles floating around. 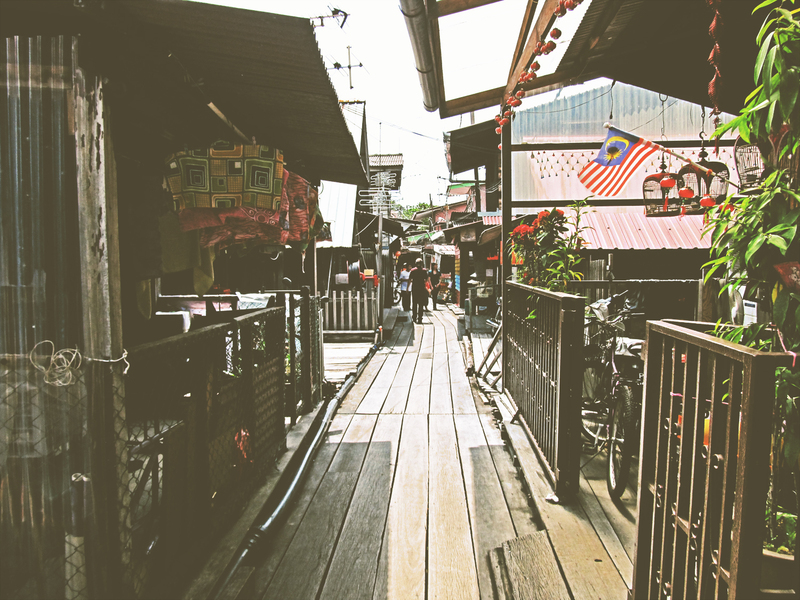 Located behind a row of shoplots across the road from Sabek’s mural, this giant mural was also drawn in conjunction with the Different Strokes street art exhibition. 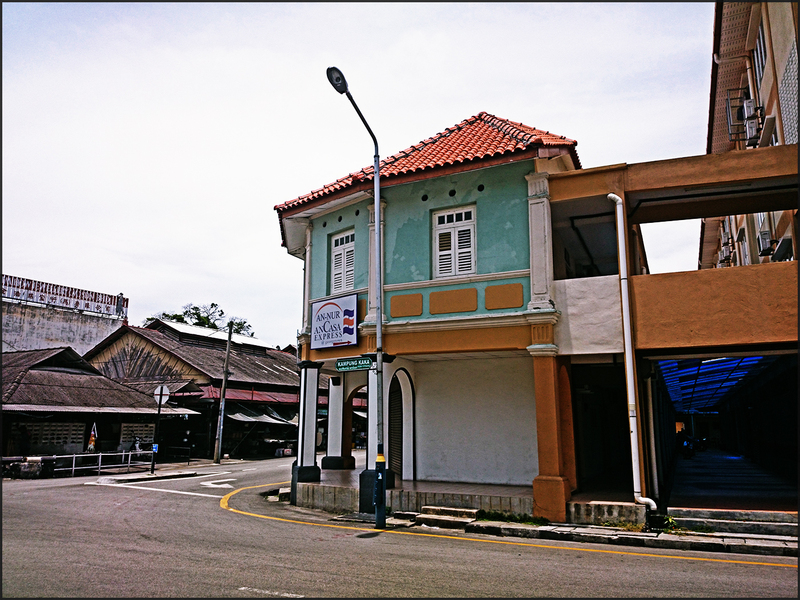 For its location, please go here; Raja Uda Street Art Murals Location Map. This rather large abstract mural was painted by Sabek, a Spanish artist during the Different Strokes street art exhibition period. 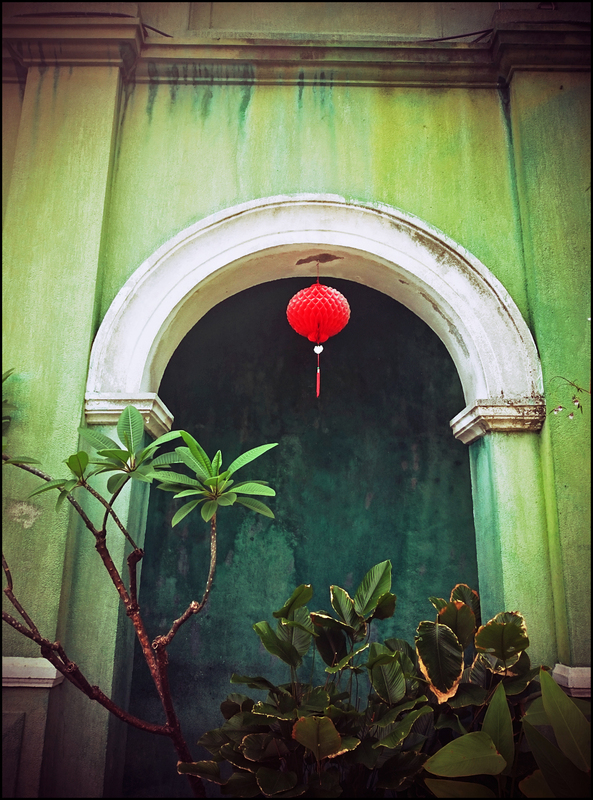 It can be easily seen at the side wall of a shop facing the main road of Raja Uda, Butterworth. 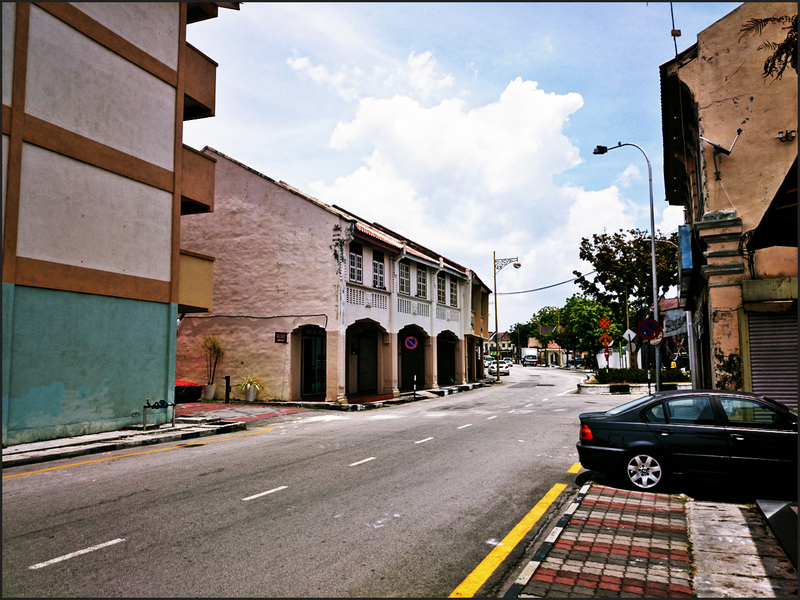 Jalan Raja Uda (or Raja Uda Road) is one of the main roads in Butterworth. 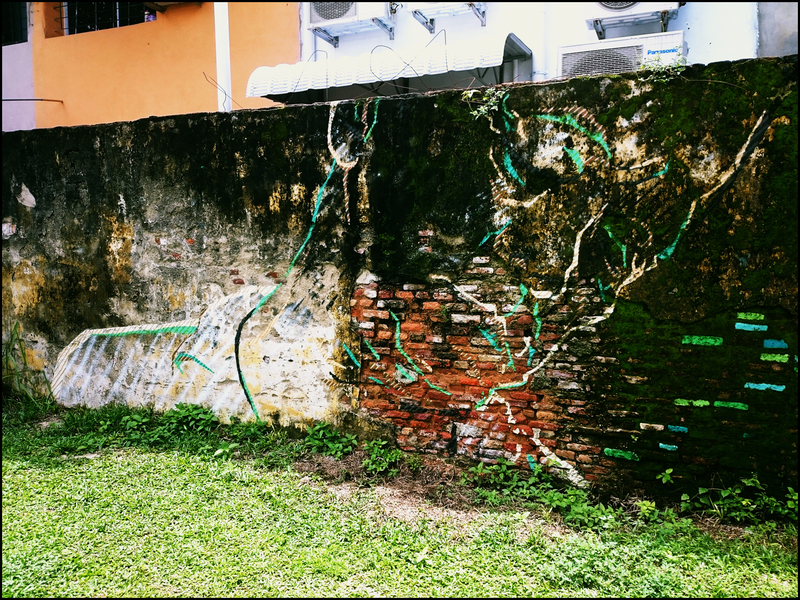 A mural found inside the compound of Hin Bus Depot, George Town. 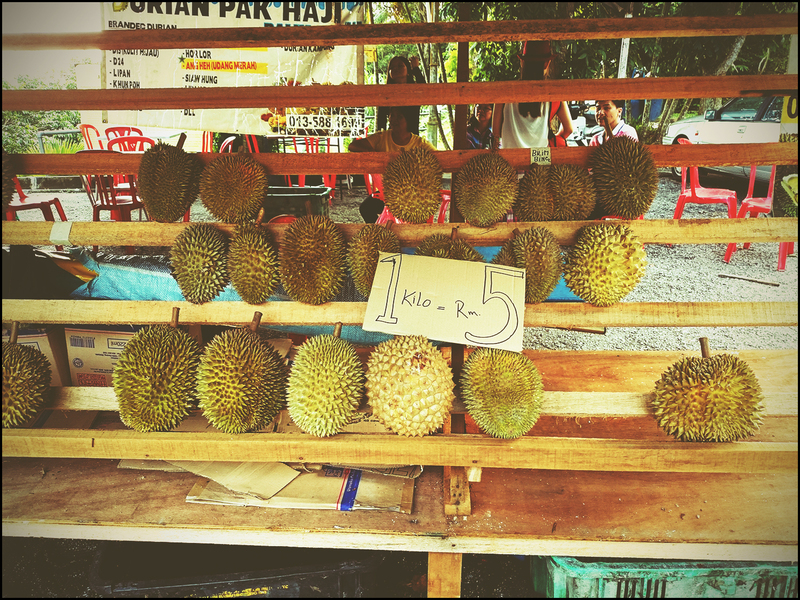 Durians season is back again during the period of June to July this month. 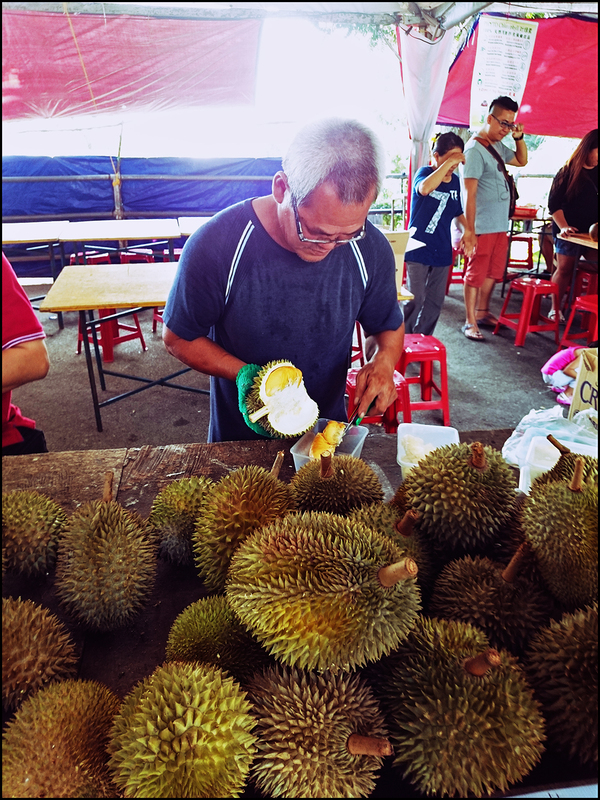 Touted as the King of Fruits in Southeast Asia, Penang is also one of the top destinations for durian lovers to try out various species of the fruit. 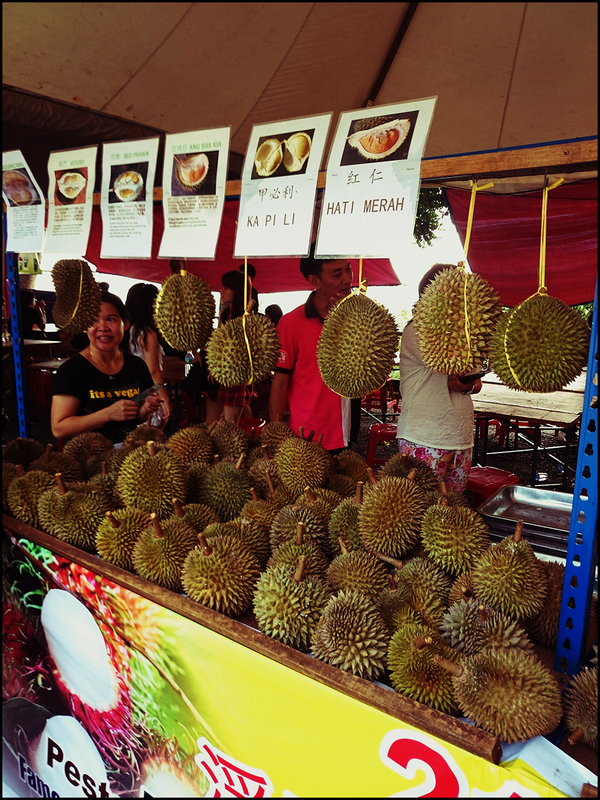 There is also a durian festival held during this season. 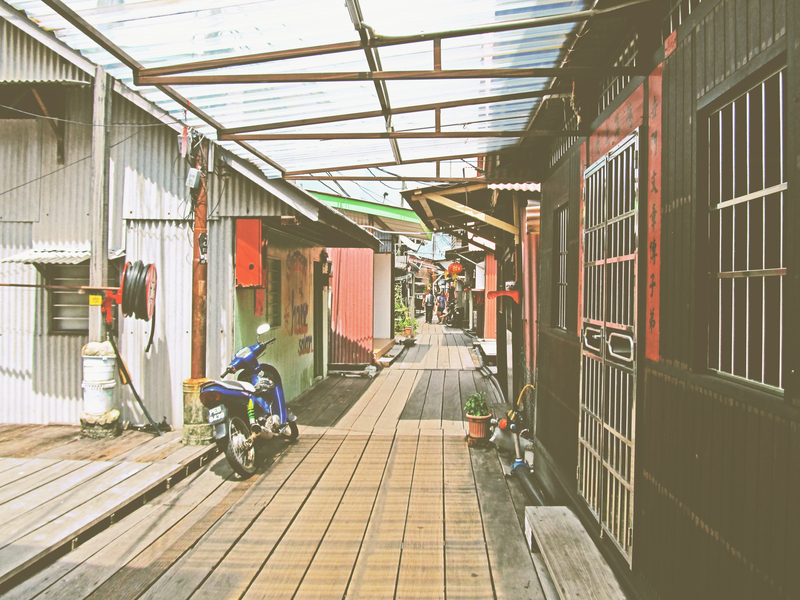 One of the unique attractions in Penang is the clan jetties located along the coastal area of Weld Quay, George Town. 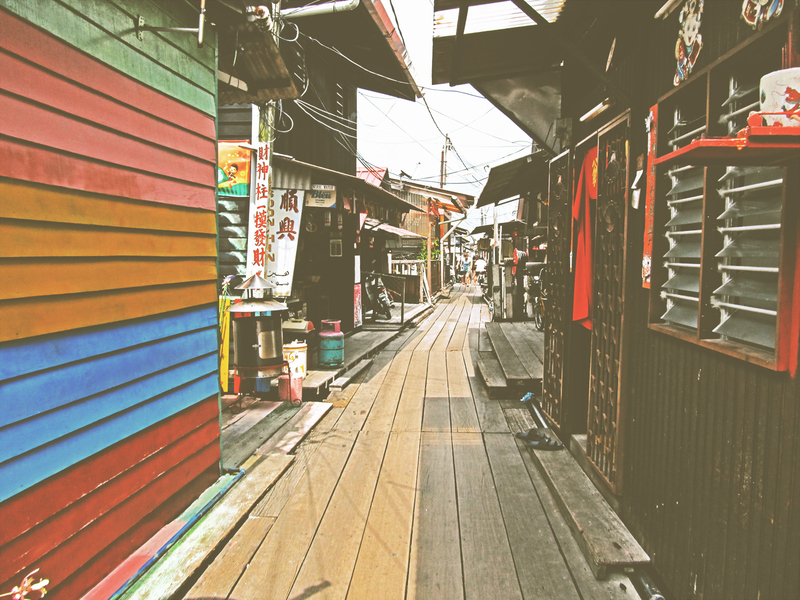 One such jetty is the larger and more popular Chew Clan Jetty, or commonly known as just Chew Jetty, which features wooden houses built on stilts. 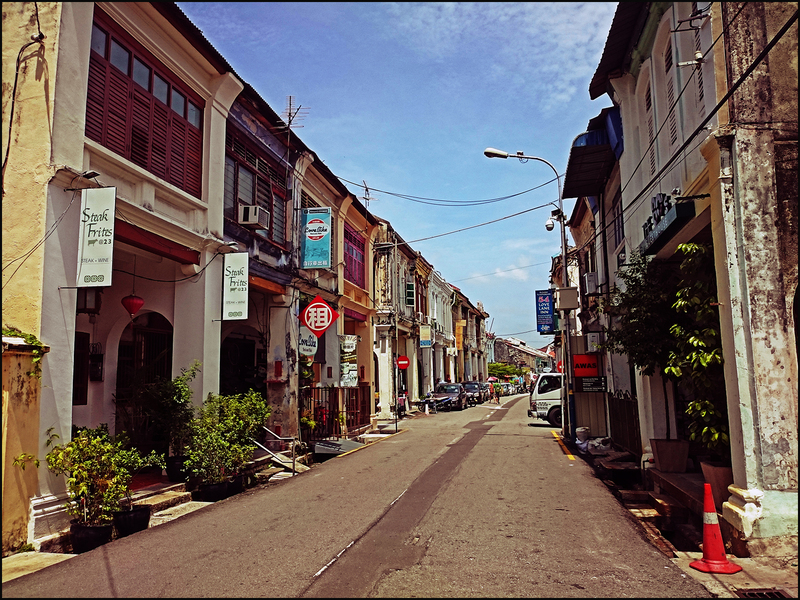 Signboards of inns, cafes and shops along Love Lane, also known as Backpackers’ Street in George Town. 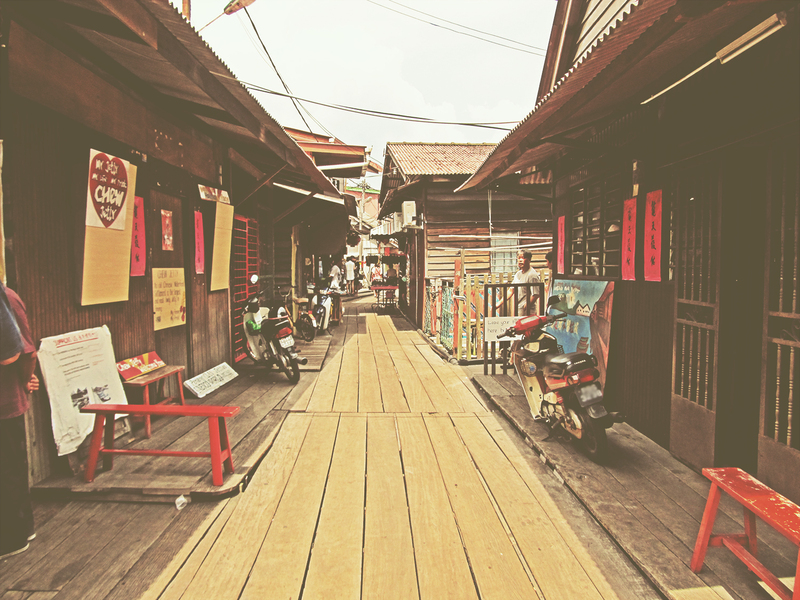 Kampung Kaka is a small road in George Town that links up with the Kampung Kolam area and Carnarvon Street interchange. 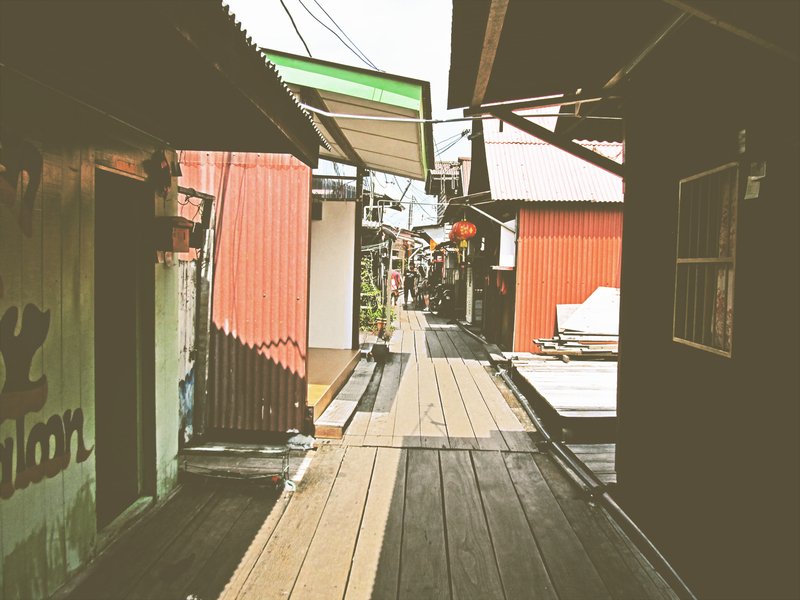 The name was reportedly originated from the word Kaka, a reference to the local Malabari Muslims who lived in the area back in the old days. 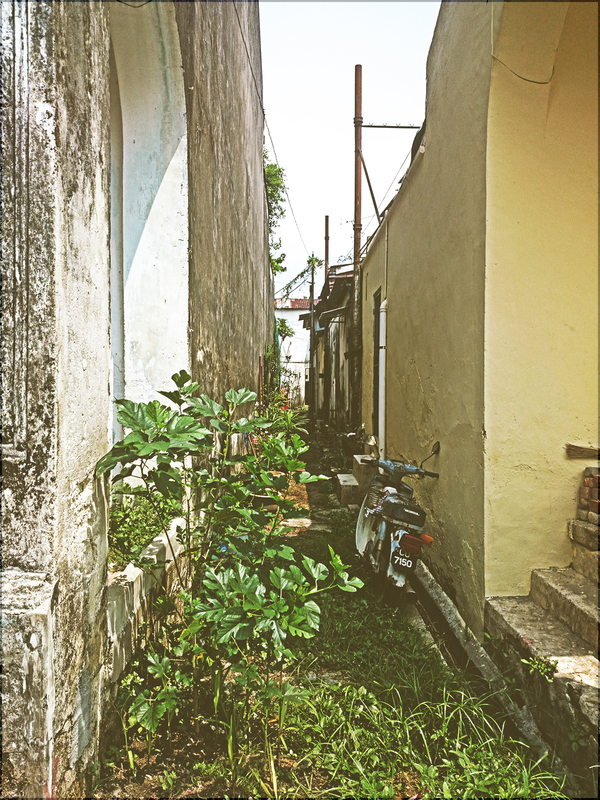 A random back alley in George Town filled with overgrowth plants.